I am sharing one of my most regretted non-eats with The Nosher today! Lahmacun AKA Turkish Pizza (or flat bread), however you want to perceive it. Regretted only because I didn’t actually have lahmacun in Turkey. With so many bites and dishes in our trip, I’ve made it a routine to remake them at home. 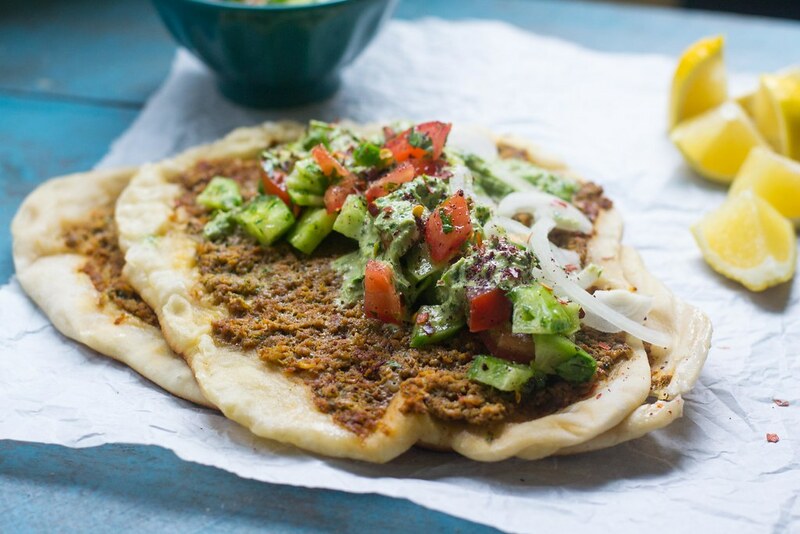 I hope I have done the Turks proud, as this lahmacun recipe is modernized a bit. 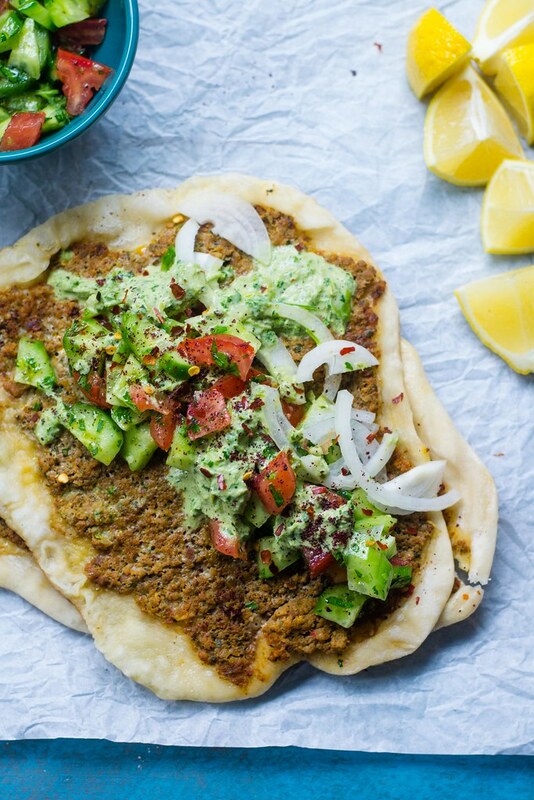 Traditionally, you see the locals wander the streets with lahmacun rolled up tightly in hand. Just as any quick street food would be easily accessible and eaten. A spicy meat mixture is pressed into the dough and toppings include thinly sliced raw onion, fresh herbs and a generous squeeze of lemon. 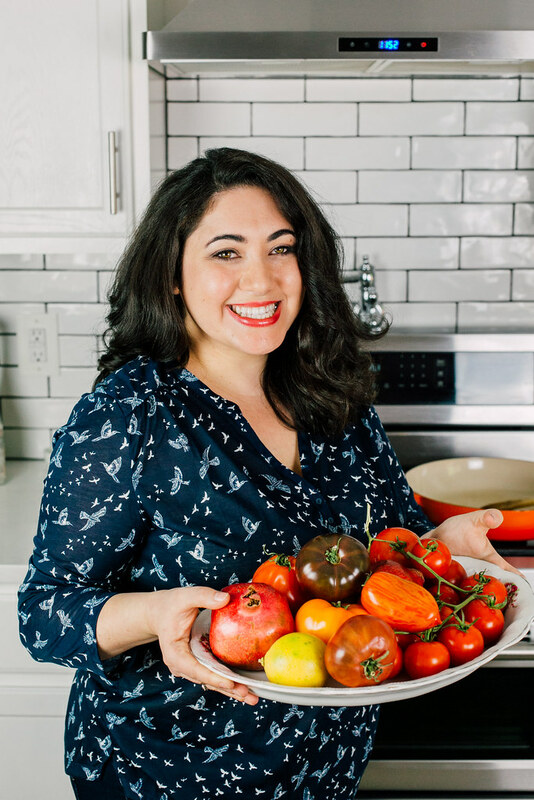 To add contrast and texture, I added my favorite chopped salad and most recent addiction of herb tahini sauce, which I’ve been putting on absolutely everything! Seriously…make the sauce. 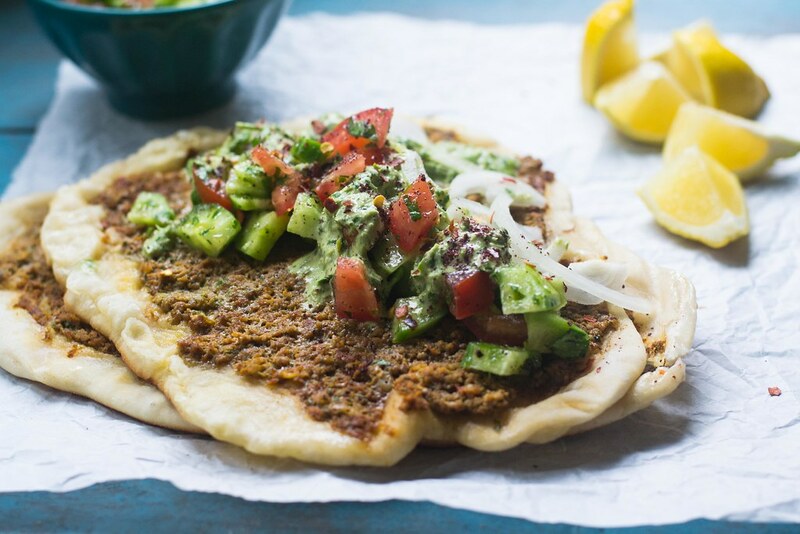 Head on over to The Nosher to see the full Lahmacun recipe!